Robert Genese (1904, 1908), Francis Edgeworth (1912), Joseph Larmor (1912, 1920, 1924, 1928), E.T. Whittaker (1912+), Arthur Conway (1924, 1932, 1936), Patrick Cormack (1924), A.C. Dixon (1924, 1928), Frank Murnaghan (1924, 1928), John L. Synge (1924, 1932, 1936), A.J. McConnell (1928), J.J. Smith (1928, 1932), Charles Rowe (1932), Bill McCrea (1936), and Jack Todd (1936). Cormack and Smith--perhaps the least familiar names above--were Tipperary men now largely forgotten by history. Details of these two (and of all other people of interest) are provided in what follows. 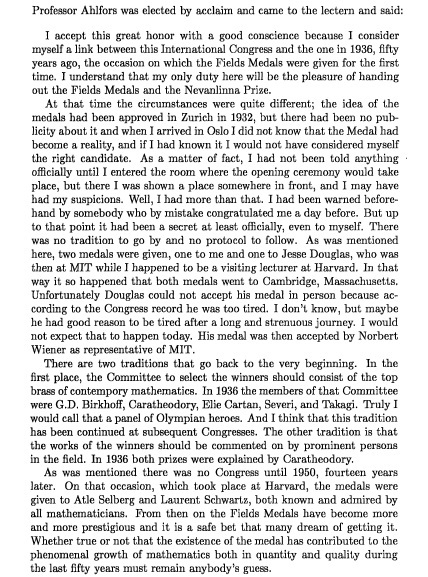 Our story here culminates with the announcement of the first Fields Medalists in Oslo in 1936, an event made possible in part by the efforts of one of the Dubliners discussed below. A later blog will take up the post-war story. By most accounts, the first official International Congress of Mathematicians (ICM) was held in Zürich in 1897. From 1900 on, it’s been held more or less every four years, with a big gap from 1936 to 1950 due to WWII and its aftermath. Our focus is on "invited speakers", see the questionable discussion at the start of this Wikipedia page. For the record, modern terminology such as "plenary speaker" does not seem to appear anywhere in ICM paperwork from this period, nor in the decades immediately following WWII. At first, select 50-60 minute long talks were denoted by the ICM as being "by invitation of the Organizing Committee". In time, there were also 30-minute invited talks, and later still shorter "communications" (15 or 10 minutes long). The MacTutor listings of "main invited speakers" are much shorter than the Wikipedia lists of invited speakers. Wikipedia does not distinguish between 30 minute invited talks and longer ones, and neither do we. All of the ICM proceedings are available online, and links to specific volumes (as well as the Wikipedia lists of invited speakers for each individual ICM) are provided in a large table at the end of this blog. It's worth bearing in mind that in addition to highlighting pure maths, the ICM for many decades featured topics some of which are no longer part of its brief. In 1912, for instance, in addition to the expected areas of pure maths, the subjects covered included astronomy, statistics, mechanics, physical mathematics, economics, actuarial maths, philosophy, history, and didactics. For most of its history, the ICM has been hosted by the International Mathematical Union (IMU), which was set up in 1920, and then took a two-decade long break starting in 1932. These days, the IMU meets briefly right before the ICM, often in a different city in the host country, with official delegates from each country playing a special role. The Irish presence here will be examined in a followup blog. The ICM Wikipedia page (as of Sep 2018) is vague as to the origins of the ICM, merely crediting Felix Klein and Georg Cantor for “putting forward the idea”. 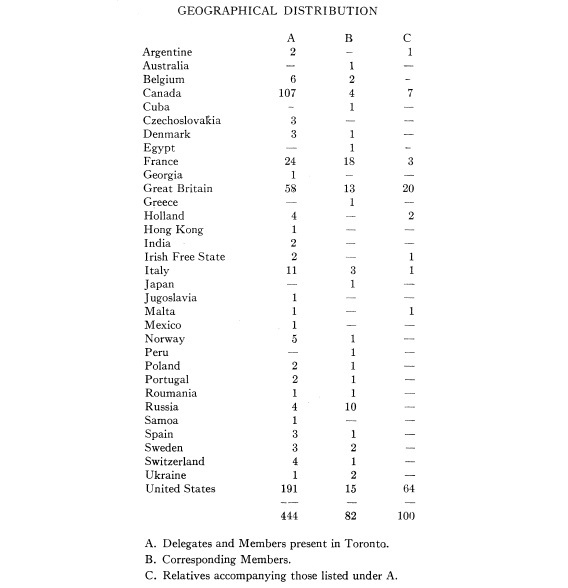 However, as the IMU’s own webpage on the congress indicates, the ICM grew out of the International Mathematical Congress held in conjunction with the World Columbian Exposition (“World’s Fair”) in Chicago 21-26 August 1893. Several later ICM Proceedings credit Chicago as being the first congress. 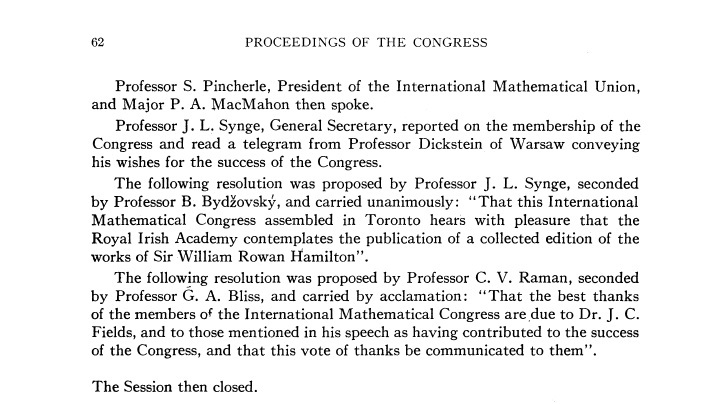 For instance, the 1950 proceedings (page 121, Vol 1) discusses that Cambridge (Massachusetts) meeting as being "the first International Congress of Mathematicians held in the United States since that assembled in connection with the Chicago's World Fair in 1893". Northwestern University was location of the 1893 meeting, and 25 mathematicians participated. 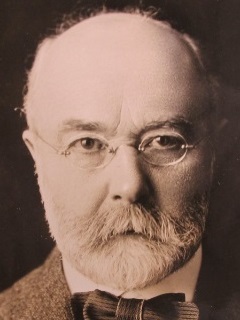 Felix Klein was a distinguished attendee and speaker, as were David Hilbert and Max Noether, and in 1896 the very young AMS published the proceedings of that meeting. In the fortnight following the 1893 Expo in Chicago, many of the same attendees participated in “The Evanston Colloquium”, also held at Northwestern University, with Klein giving daily lectures. Those lectures were published by MacMillan and Co in 1894. James McMahon (1856-1922 ), an Armagh man and TCD graduate who in 1888 became the first known Irishman to supervise a mathematical doctorate, at Cornell, attended both the Expo and Evanston lectures in 1893. 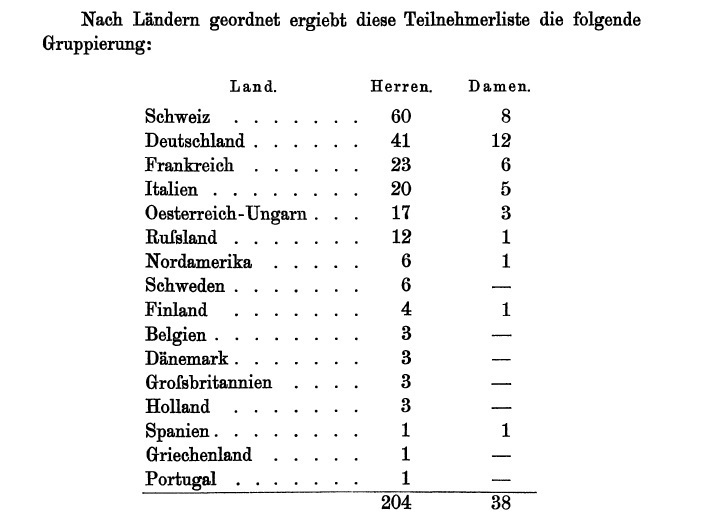 There were no Irish among either the 34 invited speakers in 1897 (Zürich) or the 40 invited speakers in 1900 (Paris), although James Larmor seems to have attended the latter congress, at which the famous Hilbert problems (pages 21 and 58-114 of the Paris proceedings) were posed. 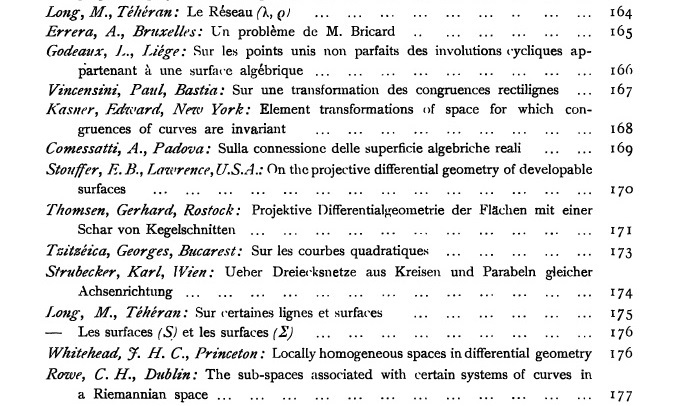 Interestingly, Hilbert's lecture does not appear to have been one of the 40 invited ones. In 1904, in Heidelberg, the 69 invited speakers included Borel, Hadamard, Hilbert, Klein, Levi-Civita, Minkowski, Mittag-Leffler, and Sommerfeld. Dublin’s Robert Genese (1848-1928), 8th wrangler at Cambridge in 1871 and long on the staff at Aberystwyth, gave an invited address "On Some Useful Theorems in the Continued Multiplication of a Regressive Product in Real Four Point Space" (page 383 of the proceedings), and another "On the Development of 'Ausdehnungslehre' According to the Principles of Statics" (page 433). Four years later in Rome, the 121 invited speakers included Bernstein, Borel, Brückner, Brouwer, Darboux, Dickson, Fubini, Hadamard, Levi-Civita, Lorenz, Macfarlane, Mittag-Leffler, E.H. Moore, M. Noether, Picard, Poincaré, F. Rietz, Severi, Sommerfeld, and Zermelo. Robert Genese spoke again, this time on "The Method of Reciprocal Polars Applied to Forces in Space" (page 145 of the proceedings). This meeting was also attended by Joseph Larmor, who features prominently in what follows, and by Antrim’s John Leathem (1871-1923), QUB graduate (BSc 1891) and 4th wrangler at Cambridge (1894). Leathem spent his career at Cambridge, and in the first of his four books (in 1905) he introduced the arrow notation for limits, an innovation which was soon championed by his colleague Hardy. The 1912 ICM in Cambridge had 103 invited speakers, among them Bateman, Bernstein, Borel, Brouwer, Fehr, Fields, Grossman, Hadamard, Hardy, von Koch, Landau, Littlewood, Love, Macfarlane, E.H. Moore, Morley, Peano, Runge, Thomon, Volterra, Whitehead, and Zermelo. 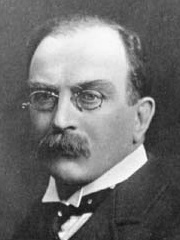 Longford native Francis Edgeworth (1845-1926), TCD and Oxford graduate (in languages and law, respectively), presented on "A Method of Representing Statistics by Analytic Geometry" (page 427, Vol 2). Edgeworth was chair of Section III(b) (Economics, Actuarial Sciences, Statistics). 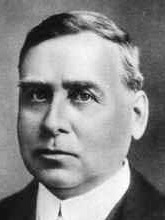 Antrim born and Belfast raised Joseph Larmor (1857-1942), QUB graduate (1876) and senior wrangler at Cambridge (1880), was on his home turf academically when he gave the invited plenary "On the Dynamics of Radiation" (page 197, Vol 1). 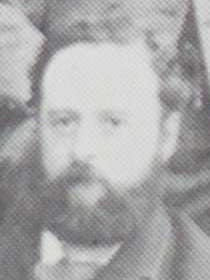 He was also the treasurer of the Organising Committee, and he and E. T. Whittaker were on the International Committee. Edmund Whittaker (1873-1956), an Englishman from Merseyside who had been 2nd wrangler at Cambridge (1895), was just starting a long career at Edinburgh after spending 1906-1912 at TCD, where he had also served as Royal Astronomer of Ireland. He is listed for the communication: "On the Functions Associated with the Elliptic Cylinder in Harmonic Analysis" (page 366, Vol 1). NUI gave him an honorary doctorate in 1939, around the time he was advising de Valera on the setting up of the DIAS. There were other invited speakers with past or future Irish connections. 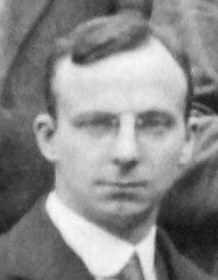 Cambridge man Thomas Bromwich (1875-1929), who had taught earlier at Queen’s College in Galway (1902-1907), spoke on "Some Theorems Relating to the Resistance of Compound Conductors" (page 235, Vol 2 of proceedings). Furthermore, German physicist Paul Ewald (1888-1985), who had just finished his doctorate and would later teach at QUB (1939-1949), spoke on "Dispersion and Double-Refraction of Electrons in Rectangular Grouping (Crystals)" (page 241). Additional ICM “members” (presumably attendees) of relevance listed in the proceedings for 1912 were William S. Burnside, Frances Cave-Browne-Cave, A.C. Dixon, Leathem, William Orr, Alfred Robb and Edith Stoney. As noted earlier, Leathem had spoken at the 1908 ICM, and Dixon would speak at later ICMs (see below). Tyrone’s Burnside (1839-1920) was a TCD graduate (BA 1861, MA 1866, DSc) and staff member. English statistician Cave-Browne-Cave (1876-1965) was another Girton woman, by training (1898) and profession, who received a TCD ad eundum degree (1907), having also studied with Karl Pearson at the turn of the century. Physicist Robb (1873-1936) from Belfast was a graduate of QUB (BA 1894) & Cambridge (BA 1897, MA 1901), with a Göttingen doctorate (1904), who worked at Cambridge his whole life. Orr (1866-1934) from Down was also a QUB (BSc 1885, MSc 1886) & Cambridge graduate (senior wrangler 1888), who at this stage had taught for 20 years at the Royal College of Science for Ireland in Dublin. Stoney (1869-1938) from Dublin was known for her pioneering career in medical physics. At this point she was teaching at Newnham, where she had excelled in the maths tripos in 1893. TCD had awarded her ad eundum BA & MA (1904). There was no ICM in 1916 due to what we now call WWI, and German and Austro-Hungarian mathematicians were among those excluded from the congress for over a decade after that. The 1920 congress in Strasbourg had only 56 invited speakers, among them Cartan, Dickson, Grossman, Hadamard, Jordan, Lefschetz, Takagi, de la Vallée Poussin, Volterra, and Wiener. The only Irish speaker--or, it seems, attendee--was Joseph Larmor, who was Vice President of this ICM (as was E. T. Whittaker already discussed, who also attended). 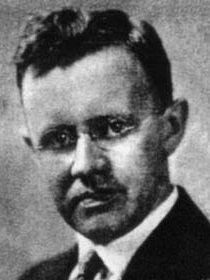 Larmor gave three presentations: “Questions in Physical Indetermination", "The Pressure of Waves of Sound", "The Rays of Diffraction that Accompany Telescopic Images" (pages 3, 586, and 589, respectively, Vol 2 of the proceedings). After New York lost its 1922 bid to hold the next ICM, Hamiltonian (in the Ontario sense) John C. Fields (1863-1932) seized the opportunity to run the 1924 congress at the University of Toronto, under the auspices of the IMU. He had taught there for over two decades, having earlier lived and worked in Europe. 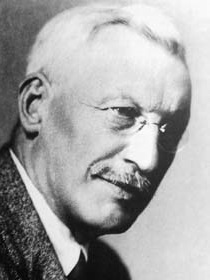 He knew Weierstrass, Frobenius, Plank, Klein and Mittag-Leffler, and had himself been an invited speaker at the 1912 congress in Cambridge. 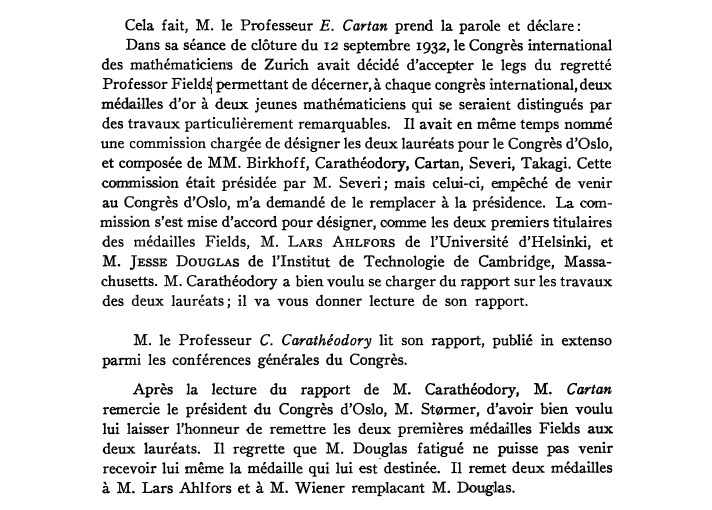 He raised funds for the 1924 ICM both in Canada and in Europe, so successfully that there was enough money left over to support his later setting up (in the early 1930s) of what would become the Fields medal. 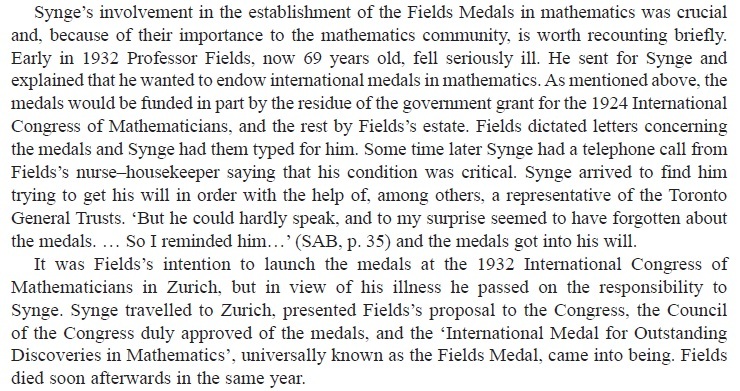 In both endeavours--the ICM and in due course the medal--Fields enlisted the help of Dublin’s John L. Synge (1897-1995), who had joined the Toronto maths department in 1920. Synge was on the Editorial Committee of this Congress, and was also its General Secretary. The 1924 ICM had 180 invited speakers, including Bell, Besicovitch, Cartan, Coats, Coker, Dickson, Eddington, Fehr, Fisher, Fréchet, Fubini, Hedrick, Hille, Morley, Ore, Peano, Plancherel, Ricci-Curbastro, H. Rietz, Severi, Sierpiński, Uspensky, and Zaremba. In 1925 Synge returned to TCD (for five years), so it is curious that he's listed as an Irish Free State delegate (but under the Canadian count in the attendance figures). He was a TCD graduate (BA 1919, MA 1922, DSc 1926) who mostly split his career between Toronto and his alma mater, before spending a quarter century at DIAS. Throughout his long career he supervised at least 9 doctorates and authored 17 books. NUI gave him an honorary DSc in 1970. His Toronto ICM presentation was on "Normals and Curvatures of a Curve in a Riemannian Manifold" (page 857, Vol 1). Arthur Conway (1875-1950) from Wexford had been a recipient of an RUI Travelling Studentship, at UCD in 1898, and studied at Oxford with A.E.H. Love before commencing an almost half century long career at UCD which saw him rise to the rank of president. In Toronto, he gave a talk "On the Quantization of Certain Orbits" (page 223, Vol 2 of proceedings). 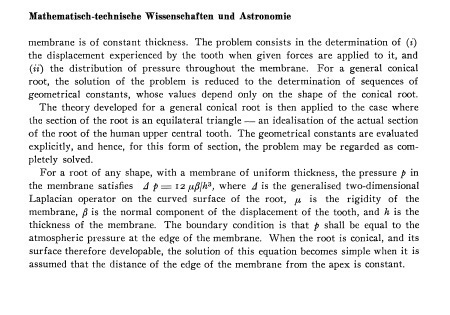 There is also an abstract for "The Mathematical Works of Sir W. R. Hamilton" (page 984, Vol 2). 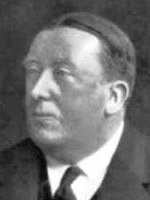 Patrick Cormack (1887-1944) hailed from Cloone, near Templemore, Tipperary, and in 1908 earned an engineering degree from the Royal College of Science for Ireland (RCScI). After working for the Irish Land Commission he taught mechanical engineering at RCScI and then at UCD. In 1936, UCD awarded him DSc. He edited The Irish Engineers Handbook which appeared the year he died. In Toronto, he spoke on "The Use of Exponentials in the Analysis of Machine Motions" (page 473, Vol 2). His talk was listed in large engineering section (IV), and his attribution at this ICM is simply "College of Science, Dublin". Alfred Dixon (1865-1936) was a Yorkshireman educated at the University of London (1883) and Cambridge (1886, senior wrangler). His career was spent at Queen’s College, Galway (1893-1901) and then at what became QUB (1901-1930). He spoke in Toronto on "The Theory of a Thin Elastic Rectangular Plate Clamped at the Edges" (abstract on page 377, Vol 1). Frank Murnaghan (1893-1976) from Tyrone, who was by then established at Johns Hopkins, was listed as a Corresponding Member for the Toronto ICM on page 46. He’d been the second recipient of an NUI Travelling Studentship in maths, at UCD in 1914, and went on to author 16 books in his long career in Baltimore and Sao Paolo. In Toronto, he spoke on "The Generalized Kronecker Symbol" (abstract on page 928 , Vol 1). The 1928 Bologna ICM had 265 invited speakers, including Banach, Bernstein, G.D. Birkhoff, Bompiana, Borel, Cartan, Čech, Courant, Fano, Fields, Fisher, Fréchet, Fubini, Haar, Hadamard, Hilbert, Julia, Lévy, Levi-Civita, Menger, Milne-Thomson, Mordell, Nevanlinna, Neyman, Nikodym, E. Noether, Ore, Plancherel, Pólya, Rademacher, Reidemeister, F. Rietz, Segre, Severi, Sierpiński, Steinhaus, Tarski, Veblen, Vitali, Volterra, Weyl, Whittaker, Zariski, and Zygmund. In Bologna, there were five Irish invited speakers, three of whom had spoken at earlier ICMs. A.C. Dixon (listed at one point in the proceedings as being from "Universita di Belfast, Belfast, Irlanda") gave a talk on "The Theory of a Thin Isotropic Rectangular Plate Clamped at the Edges" (page 161, Vol 5 of the proceedings) and another on "Construction of a Pair of Functions Satisfying .... " (page 329, Vol 3). Joseph Larmor delivered a "Historical Note on Hamilton's Rays and Dynamical Action" (page 79, Vol 5). Frank Murnaghan presented "On Finite Deformations and the Theory of Deformations of a Non-Isotropic Medium" (page 151, Vol 5). Albert McConnell (1903-1993) from Ballymena in Antrim spoke on "The Torsion of Riemannian Space" (page 321, Vol 4). He was a relatively recent TCD graduate (BA 1926) who had just finished his doctorate with Levi-Cevita in Rome. He spent over 40 years at TCD, authoring two books and rising to the rank of provost. James Smith (1892-1983, listed as "Professor, Schenectady") from Clonmel, Tipperary, spoke on "Heaviside's Operators and Contour Integrals" (page 309, Vol 5). Curiously, his talk seems to have been scheduled to be given in two concurrent sessions (Sections III-A & III-B), at the first of which Giorgi read the paper on his behalf. He was a UCD graduate in maths physics and physics (BSc 1913, MSc 1914) with electrical engineering degrees from Union College in Schenectady, New York (MSc 1919, PhD 1923). Most of his career was spent with General Electric in Schenectady, publishing maths on and off, and he also taught from time to time at Union College. E. T. Whittaker was also a speaker at this meeting. The 1932 ICM in Zürich had 258 invited speakers, including Ahlfors, Alexandroff, Bernays, Bernstein, Bieberbach, Borsuk, Carathéodory, both Cartans, Čech, Cesari, de Rham, Delsarte, Fehr, Fraenkel, Hadamard, Hardy, Hasse, Hille, Hopf, Hurewicz, Julia, Krull, Kuratowski, Lévy, Littlewood, Menger, Milne-Thomson, Mordell, Morse, Nevanlinna, E. Noether, Ore, Pauli, Pontryagin, F. Rietz, Seifert, Severi, Sierpiński, Ulam, Volterra, Whitehead, Wiener, Zaremba, and Zygmund. Arthur Conway spoke again, this time on "The Radiation of Angular Momentum" (page 314, Vol 2 of the proceedings). 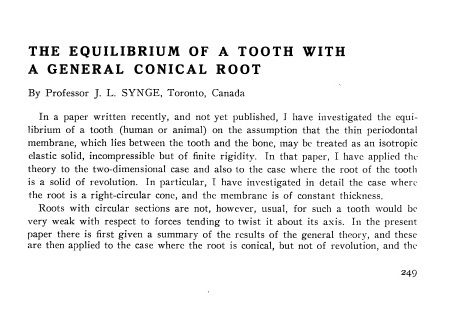 Jack Synge presented on "The Equilibrium of a Tooth with a General Conical Root" (page 249, Vol 2). He published half a dozen incisive papers on human teeth around this time, as recounted in the excellent biographical memoir by Petros Florides. James Smith gave a talk on ''An Expression for Green's Function in Generalized Coordinates" (page 86, Vol 2). The new name was a TCD staff member, C.H. Rowe, who delivered a talk on "The Sub-spaces Associated with Certain Systems of Curves in a Riemannian Space" (page 177, Vol 2). Charles Rowe (1893-1943) was a Corkman with UCC degrees (1913, 1914, also winning an NUI Travelling Studentship Prize), who then did a degree at TCD (1917) before spending most of his career there. He spent 1920–1921 in Paris, studying under Hadamard, Lebesgue, and Goursat. It was also in 1932 when TCD's first PhD student in maths finished up under him. There is also M. Long, listed as being Tehran based, who may or may not be Marjorie Long, born in Arklow in 1886, a Girton "graduate" (1908) who did receive an RUI degree in maths that same year. Marjorie Long is best known for her translation of Lezioni di calcolo differenziale assoluto by Tullio Levi-Civita, as Absolute Differential Calculus (Blacktie & Son, 1927). The M. Long who spoke in Zürich is listed for three papers, in French, whose subject matter is consistent with the known expertise of Marjorie Long. Curiously, on page 23 of Vol 1 of the proceedings the sole Persian delegate (representing the government) is listed as Prof Louis Long, and the same name is listed 8 pages later. No other record of a mathematical person of either name associated with Tehran has been found. The photo of 1932 attendees does not feature anyone identified as a Long, but not all of those depicted are named, and numerous women shown there remain unidentified. Non-speaking attendees included A.C. Dixon, now two years retired from QUB, and still Belfast based (at one point his affiliation is given as "Malone"; he was a representative of the LMS). Belfast's Jack Semple (1904-1985), who was teaching at QUB at this stage (he'd move to King's College, London, a few years later) was also present. There were 191 invited speakers at the 1936 congress in Oslo, among them Ahlfors, Banach, Bateman, both Birkhoffs, Borel, Borsuk, Cartan, Cartwright, Courant, Cramér, Eilenberg, Erdős, Feller, Fréchet, Gelfond, Hesse, Hecke, Hurewicz, Lemaître, McShane, Menger, Mordell, Morley, Morse, both Newmans, Ore, Pólya, Rado, M. Riesz, Selberg, Siegel, Sierpinski, Skolem, Stone, Taussky, Veblen, Whitehead, and Wiener. Arthur Conway (whose listings includes one as a delegate of the Royal Society, London) spoke on "A Quaternion View of the Electron Wave Equation" (page 233, Vol 1 of proceedings). Jack Synge gave two talks, one "On the Connectivity of Spaces of Positive Curvature" (page 139, Vol 2) and a second on "Limitations on the Behaviour of an Expanding Universe" (page 240, Vol 2). Two new names of interest appear too. Bill McCrea presented "Some Astrophysical Problems Concerning the Scattering of Light" (page 229, Vol 1), and Jack Todd spoke about "Transfinite Superpositions of Absolutely Continuous Functions" (page 110, Vol 2). William McCrea (1904-1999) was born in Dublin but grew up in England, where he studied at Cambridge (BA 1926, PhD 1930) and Göttingen. His career started at Imperial College and saw him move to QUB the year of this congress (he stayed there until 1943, then moved to Royal Holloway College). He discovered that the sun is largely made of hydrogen and helium, and was awarded an honorary DSc by NUI in 1954. John Todd (1911-2007) from Down was educated at QUB (BA 1931) and then studied with Littlewood at Cambridge. He taught at QUB 1933-1937 and much later at Caltech. His efforts in the late 1940s helped to ensure the preservation of the Oberwolfach Mathematical Research Institute in Germany. An abstract for paper called "A Class of Divergent Series" by Ralph Cooper of QUB is on page 77 of Vol 2 of the proceedings, although it seems he was not a speaker. Cooper (1903-1979) was born in Hull, Yorkshire, is believed to have been an Oxford graduate, and was a doctoral student of Littlewood there in 1927. He taught at QUB for 35 years starting in 1931, published with Jack Todd, and authored the book Functions of Real Variables: A Course of Advanced Calculus (Van Nostrand, 1966). Also in attendance at the Oslo congress were Paddy Brown (1889-1960, then at St Patrick's, Maynooth), Alfred O'Rahilly (1884-1969, UCC), and Michael Power (1885-1974, UCG). Jack Synge was there, and was no doubt very happy that he'd been able to ensure that the dying wishes of his friend and mentor J.C. Fields has been carried out, even if the medal did end up being named after him. (The medals do not, however, have the name of Fields on them.) Little did anyone know what prominence and fame would attach to this gold medal in the decades to come. The next ICM was due to be hosted by Harvard in 1940, but WWII intervened. This is discussed in the Proceedings of the 1950 ICM (page 121, Vol 1). Finally, in 1950, the next congress was (co-)hosted by Harvard in Cambridge (Massachuesetts). Curiously, two pages later in the proceedings, it is mentioned that Synge had resigned from the organizing committee due to leaving the USA for DIAS in 1948. Sadly, Arthur Conway died in Dublin soon before setting out to the USA to attend this ICM. The 1950 congress was a huge, American dominated meeting, with 1,410 US-based attendees, and a minimal Soviet bloc presence. There were many more speakers (including one Irish one) than are listed here. That list, in turn, is longer than the 21 "stated addresses" invited by the organizing committee given on page 136 of Vol 1 of the proceedings. It is indicated that to accommodate the large number of attendees four conferences were also offered, in algebra, analysis, applied mathematics and topology. There were also subconferences, and overall there were 374 contributed papers presented. The level and nature of Irish involvement in the ICMs has evolved over this post-war period. There have been very few invited speakers, but lots of shorter talks, and Irish attendee numbers have risen overall. The story of the Irish presence at the ICM after WWII will be taken up in a future blog. Big thanks to Tom Laffey, Kevin Hutchinson, Tony Wickstead, Martin Mathieu, Brian McMaster, Richard Timoney, Richard Watson, John Miller, David Spearman, Vincent Hart, James Ward, and others for numerous invaluable tip-offs in gathering the above information. Below we present a table listing all Irish ICM connections from 1893 to 1936. Names in brackets denote people who were Irish based earlier or later in their careers, relative to their listed ICM entry. Please alert us to any omissions or errors. Irish Free State delegates: Conway, Cormack, Synge.